A mattress pad is an indispensable item I brought with me to college because it added comfort to a dorm bed. I always heard stories of how dorm beds are uncomfortable and lumpy so I had to feel it to believe it. The first thing I did when I got to my new dorm room was walk up to the bed and lay on top it. Everything everyone said about the dorm bed was accurate, it felt like I was sleeping on a rock. I can’t tell you how happy I am that my parents convinced me to get a mattress pad for the bed. It added a three-inch layer made out of a soft yet firm material. It honestly felt like memory foam but even better. It matched the comfiness of my bed I had at home. I did not realize how big of a difference it would make. I don’t think I would have been as happy if I hadn’t brought a mattress pad with me. 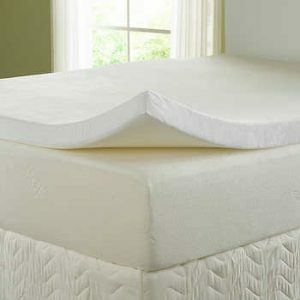 If you want to be guaranteed a good night sleep every night, then you need to make sure you find yourself a mattress pad that fits your bed preferences. They have different materials and thicknesses to fit every need. The key to success in college is getting a good night’s sleep and that can only be possible if you are comfortable in bed. You do not want to make the mistake of sleeping on a dorm bed without a mattress pad. Don’t say I didn’t warn you!